If you are going to India for tourism purpose, casual business visit or for medical treatment, we can assist you through the complex eVisa application process. The online e-Visa India is a Electronic authorisation that allows citizens of eligible countries to travel to and within India. It was launched in October 2014, by the Indian Government. 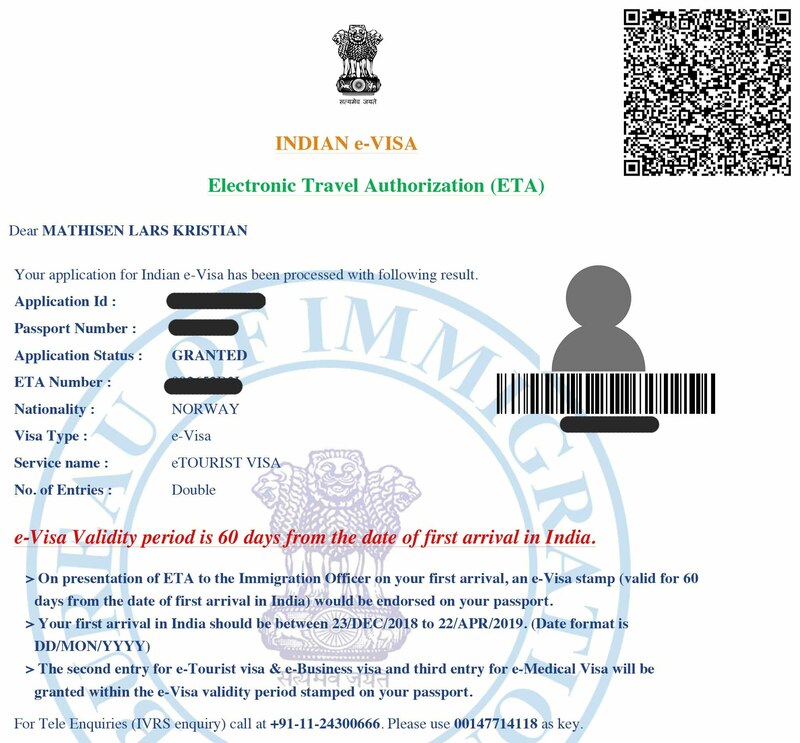 It is an electronic visa that allows its holder to visit India for tourism purpose, casual business visit, casual visit to visit friends and relatives, or for medical treatment. It is generally issued for a double entries visit with a duration of stay up to 60 days. e-Visa can be availed for maximum of three times in a calendar year i.e. between January to December. and 5 designated seaports (i.e. Cochin, Goa, Mangalore,Mumbai,Chennai). However, the foreigner can take exit from any of the authorized Immigration Check Posts (ICPs) in India. Filll out online Forenklet skjema India and upload your passport information page, your photo and other relevant documents. Motta ditt visum innen 2-5 arbeidsdager - eller innen 1 time (innen våre åpningstider), dersom du har bestilt ekspress.